Before I start this post, I would like to share a little history about my previous dry skin condition. 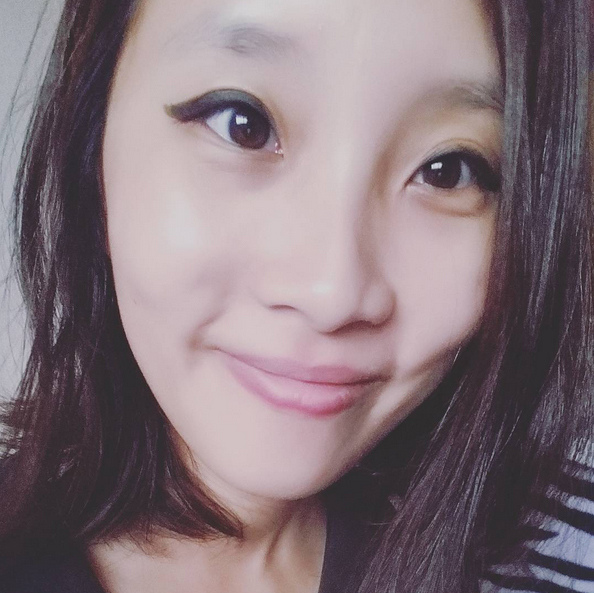 It has been awhile since I was not really satisfied with my dry #Sandpaperface and witchy textured skin due to my working hours & environment. On monthly or per two months basis, I go for facial treatment to keep my face hydrated and maintain so my looks won't grow older than my age. You've definitely heard that a simple smile makes any woman prettier but according to this photo, my dried face and that "permanent pimple" of mine kind of destroyed that pretty image of mine. I know that some skin conditions could have been worst. 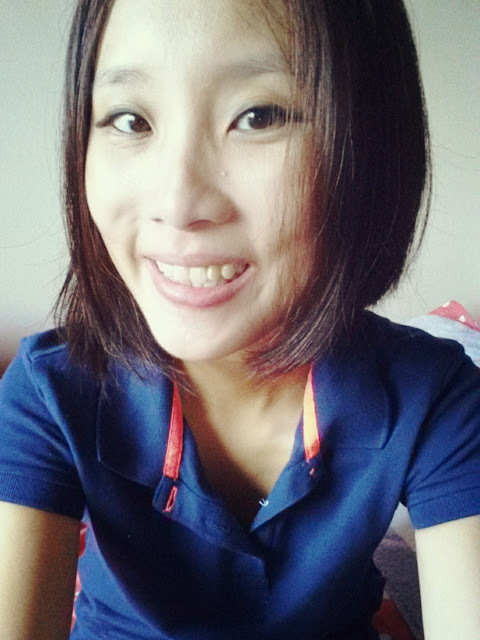 However, as a perfectionist, I denied to let little things just be the way they are. Recently, I was asking around for Neck wrinkle solutions and randomly got to know Annabelle Skin for this Skin check and Facial Treatment. 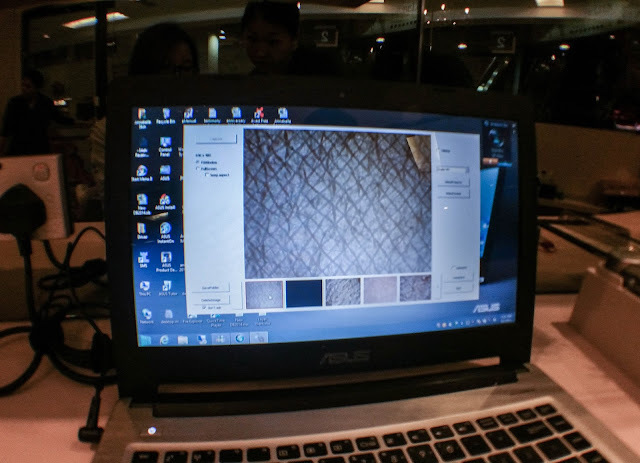 Like the general Facial Boutiques, they've their own Face scanning machine that looks closely into macro parts of our skin that human eyes can't see. 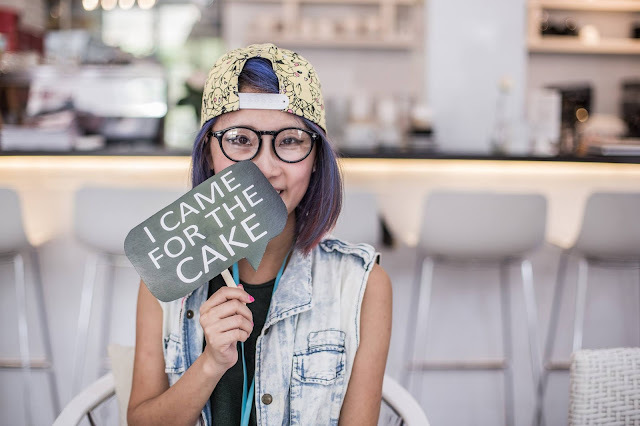 The Beautician from Annabelle Skin also mentioned to me my current skin condition and what needs to be done in my Facial Treatment. 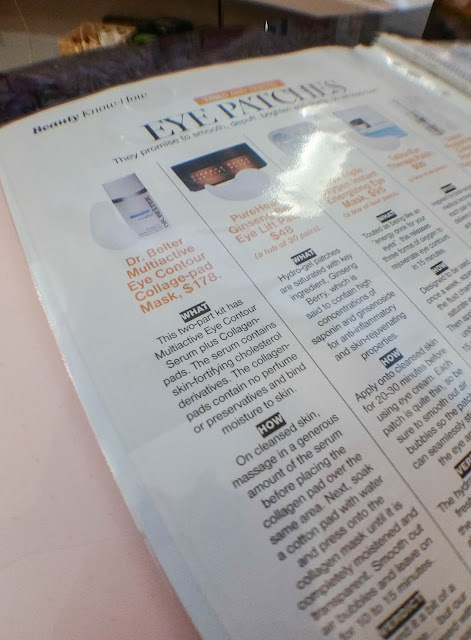 The Mainstream Facial Shop will only tell you the price for their fix packages and fix ingredient or procedures for their Facial session. 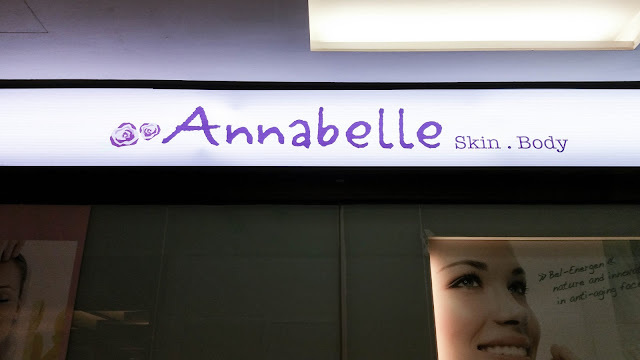 Annabelle Skin actually customize Procedure & Ingredients into their Facial Packages. And especially towards your skin problem and skin types. I've been to many facial in my entire life from Teenage till now, maybe about 10yrs. I'm 27 this year, not afraid to reveal my age. Some Beautician solve my problems, some doesn't. That also makes me realized that, doesn't mean you're willing to spend for your beauty you'll "guarantee" get good results. Both have to balance, finding the right Facial Boutique for yourself and spending the right amount of money for it. 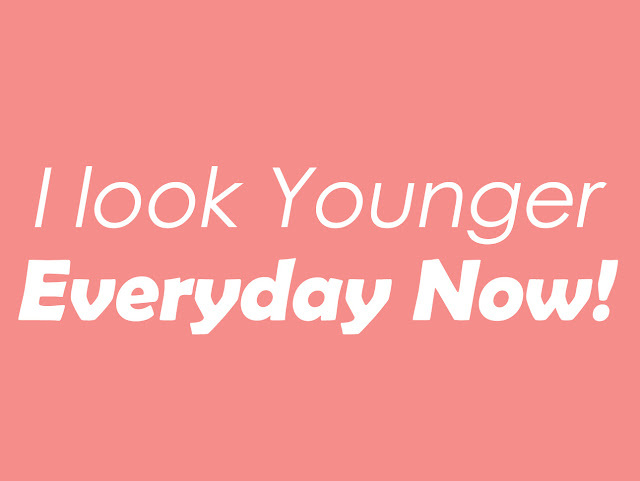 However, just facial itself wouldn't help you if you don't do daily care for your skin. Coming back to the topic, here's my "permanent pimple". What do I mean by "permanent pimple"? And How did it come about? I am just like majority of the woman, I dislike pimple and blackheads. 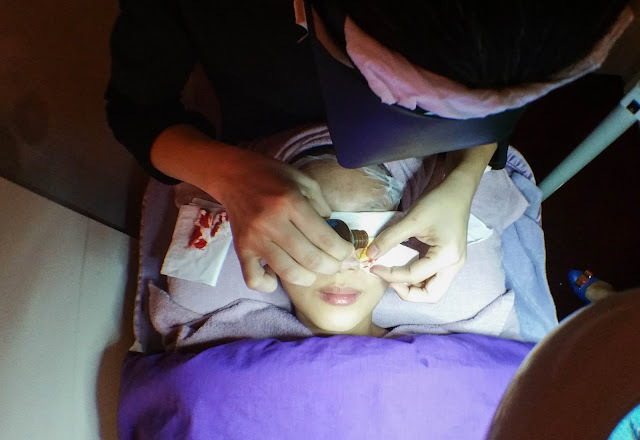 So as time goes by, I may DIY poking or squeezing my pimples or remove blackheads by my own especially when I'm out of time to go for Facial Treatment. I probably have poke or squeeze the wrong way or too deep till it hurt and destroyed one of those veins inside and became swollen/inflamed for about two months or so. From then, I keep asking my regular beautician when it can recover. And Every time when I asked they'll say it is not ready to touch or recover yet. So ok, I thought I will be forever asking and left it unheal. A lesson to learn, leave it to the professional. So that's the Legend of my "permanent pimple". Of course before the Skin check and Facial Treatment. 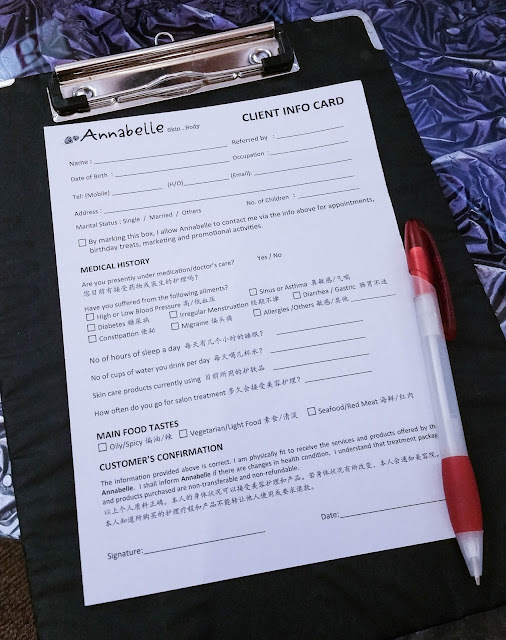 Annabelle Skin Boutique will go through a few question on this form to understand a little about you and your skin. What can be use and what can't on your face so as to keep you away from some skin or health related issues. 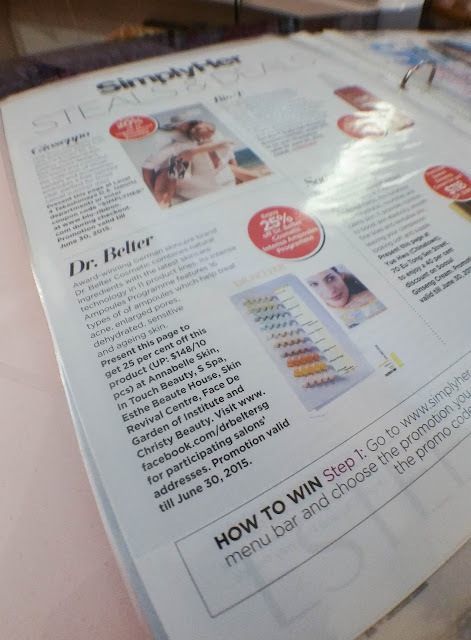 Apparently Shirley (Founder of Annabelle Skin) mentioned to me that they use mainly Dr Belter Products from Germany for their Facial Boutique because it is a very good product for all skin type and it is recognized and featured by alot of Magazines / Newspaper Worldwide. 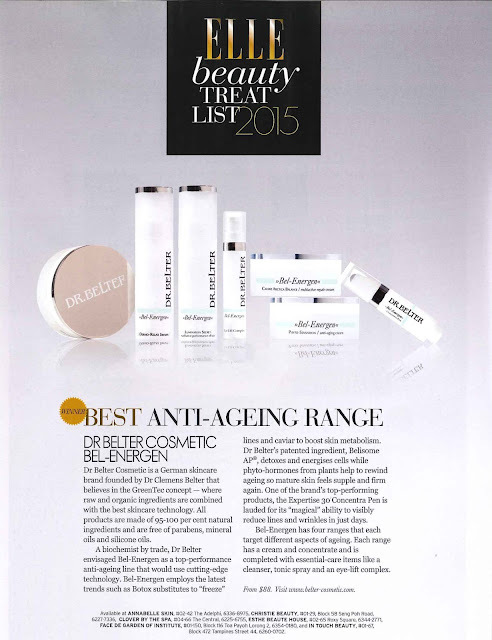 Dr Belter Products is an Award-winner and one of its recognition was featured on Elle this February 2015. 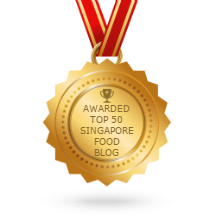 Although It is still not very known in Singapore, but it is the TOP 10 Brand in Germany. 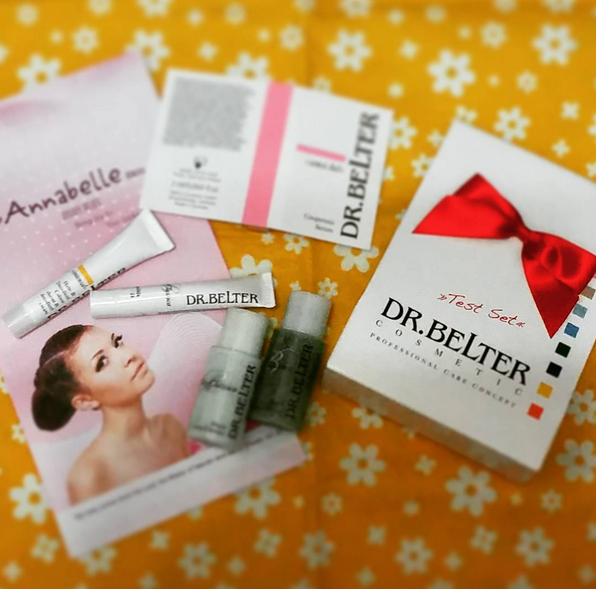 Annabelle Skin uses many different range of Products from Dr Belter, as well as having 17 types of Ampoule for sales as well as Facial Treatment for different types of skin types for their customers. You can obviously see my "Permanent pimple" from this photo. 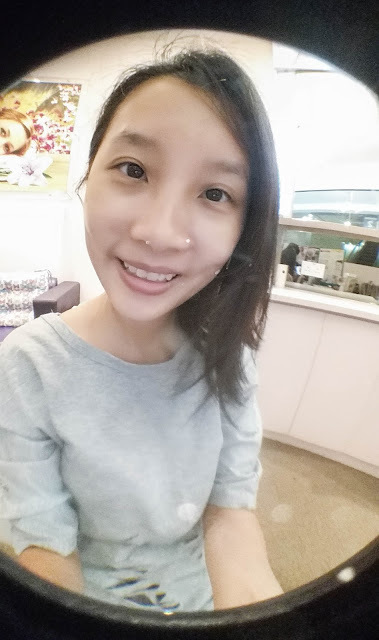 At Annabelle Skin, I was told that my pimple would definitely not be permanent. They told me that they will just need to remove the dead cells and release the toxin in it and let the cells grow back slowly. So my thick pimple was full of dead cells and toxin and I actually just learnt that from them. 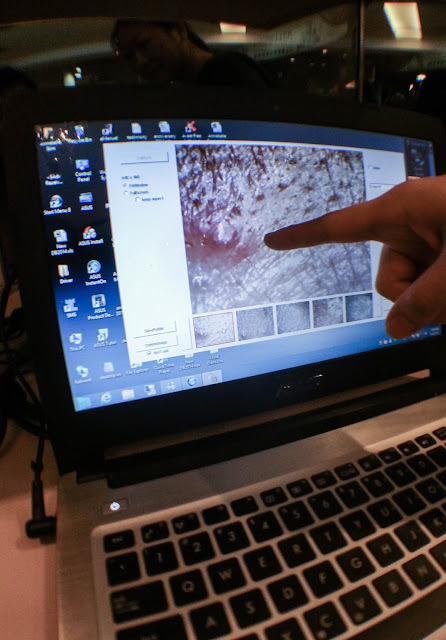 Skin works similar to Blood, we'll have new blood cells monthly. Skin tissues works the same way, it will heal and grow back to its original appearance every one month of that same day. Just that we don't exactly know when or which day it is. So I was told that they could resolve my pimple in this Facial session. 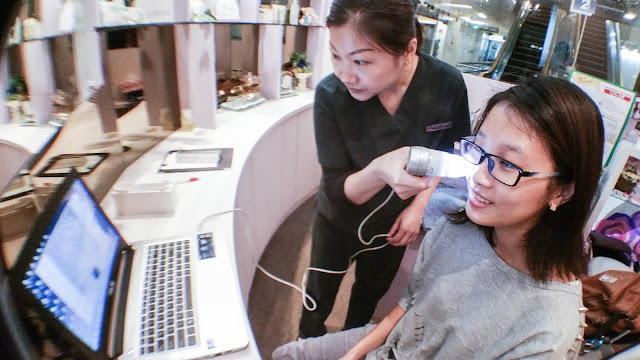 It can be a one-time Facial Treatment to resolve, but Annabelle Skin's Beautician mentioned that it would be better to resolve in two session as she doesn't wants to triggers and hurt the skin cells too much. Especially if I'm going out and meeting people in this next few days, it would be awkward to have a big red swollen pimple on my face. So I agree to make it a two-session to resolve it. Well, it's not like some other Facial Shop, whereby they will ask you to sign on 10x Facial Packages to resolve one tiny issue. I think it's kind of reasonable at Annabelle Skin. When the Beautician was clearing the dead cell and releasing the toxin from my pimple, I heard she's saying there was a lot of black blood rushing out from my pimple. As you can see from the above photo, the tissue with blood all over is half the amount of blood coming out from my tiny pimple. It rushes out from my pimple, as it has been stucked for almost 2yrs. I was quite shocked when I was looking at the Video of the procedure, because I didn't know my tiny pimple could have so much blood and so called "dirt" coming out from it. Good Grief, it is cleared now. It looks kind of like a mini surgery on my face because of the bleeding amount. I showed some of my friends my instavideo, and they sort of commented: "It must be really painful". I know blood makes everything looks painful. But it wasn't painful at all. I was quite comfortable at the Facial session. 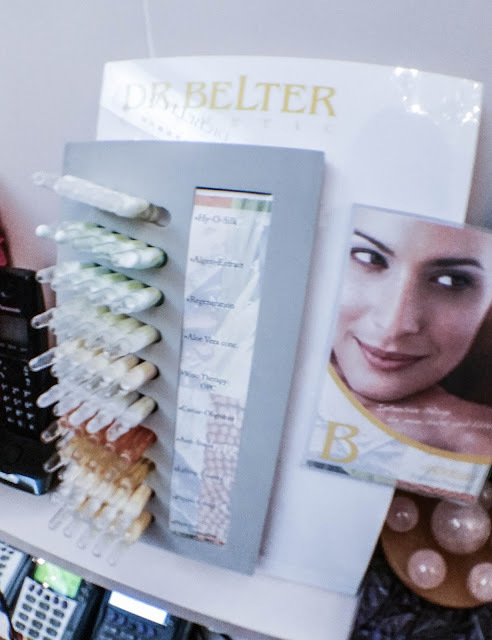 To recover smoothly and beautifully, I was given a set of Dr Belter's Product to try. I was given 1x 15ml Velvety Cream Cleanser, 1x 15ml Fresh Blossomy Tensum (Toner), 1x 5ml Aquasilk (Moisturizer), 1x 5ml Intensa (Moisturizer), 1x 2ml Sensi-bel (Couperosis Serum) and 1x 5ml Sunblock. This is my One-week after effect, using Dr Belter's product. I see some flying colours in my hardwork applying creams. My half "permanent pimple" isn't obvious now. And my mum says my face became much radiant and bright. I feel, my #Sandpaperface is gone for good! 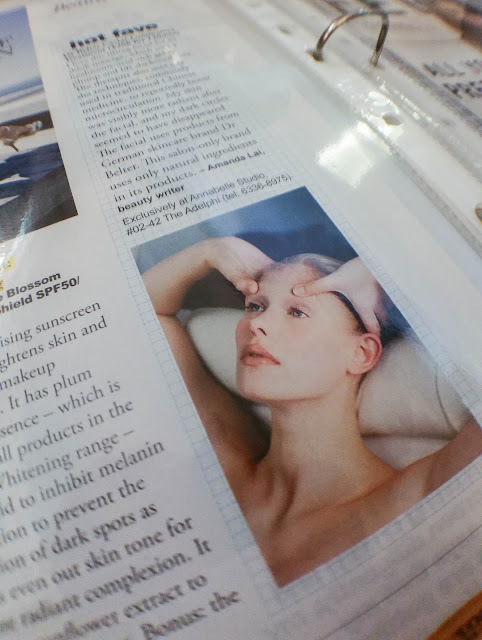 Here's some of the Magazine that has featured Annabelle Skin Boutique or Dr Belter's Beauty Products. 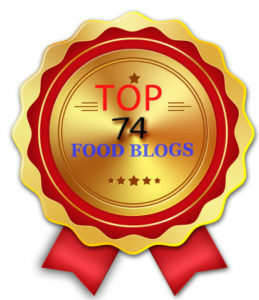 Have customers following them for past 15-21yrs due to their good service and selfless knowledge sharing. 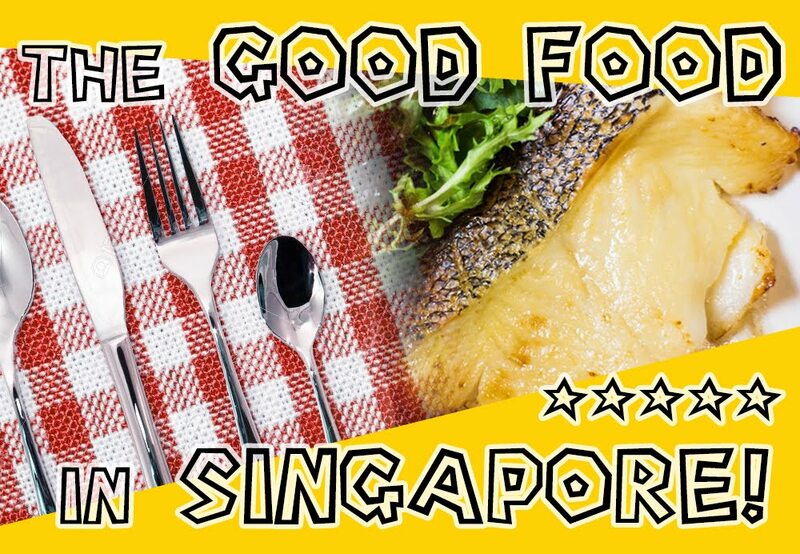 I've witnessed the goodness in them and they've been featured in more than 20 Media around the world. 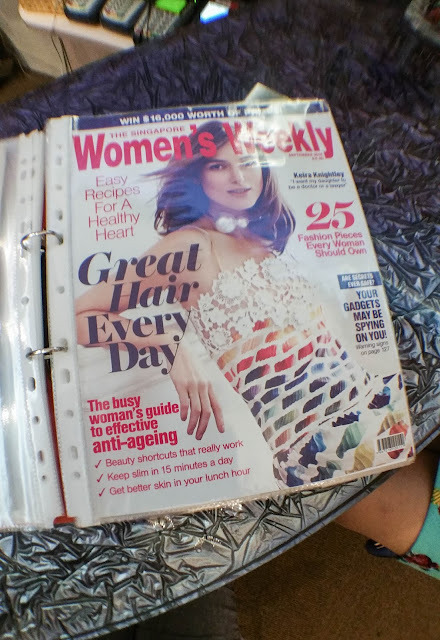 Be it Newspaper, Magazines or others. 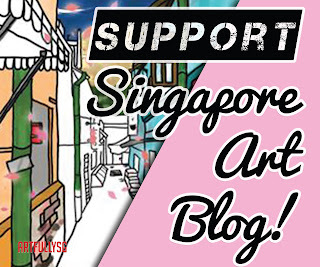 Flash this Blogpost to get 50% OFF for your customized Facial Treatment.